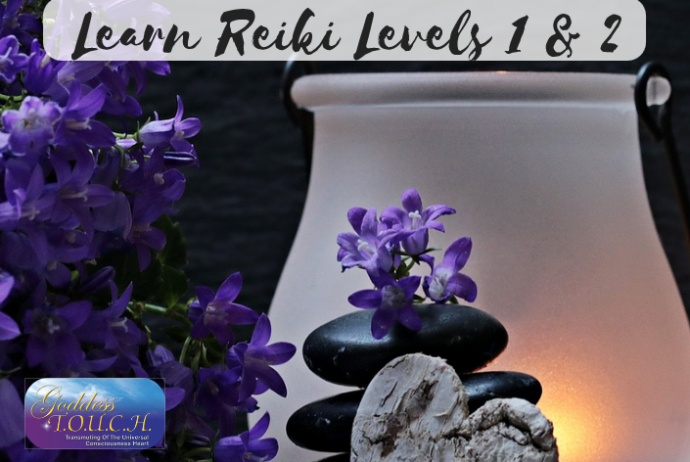 Reiki Levels 1 and 2 - July 30th - Goddess T.O.U.C.H. Hello and Welcome all current and future Reiki practitioners! Have you been interested to learn this gentle yet so powerful Spiritual Modality, called Reiki, a useful tool for daily use in today’s stressful times? Please read below what you can learn in this powerful energy modality in only 1-day class. Receive compensation in forwarding this invitation to someone you know who would benefit in learning this subtle healing energy, please read on. Many thanks! Whomever you are, whatever you do, REIKI “enhances your health, relationships, work, intensions … Life! You will receive: your workbook, attunements and Certificate. Investment: $150 cash, check or credit card. You Will Receive: Book, Attunements and Certificate. YOUR REIKI MASTER & TEACHER. Carole was initiated/attuned to REIKI, Master Level in 2001 and, since then, is holding Healing Circles, private / group sessions, and classes throughout Broward County. More info at www.GoddessTOUCH.net Please call now 754-800-7341 (Cell) 954-655-5490 to register! Syllabus and cost will be emailed to you upon registration.